Swim, kayak, canoe, fish, from your own back yard. 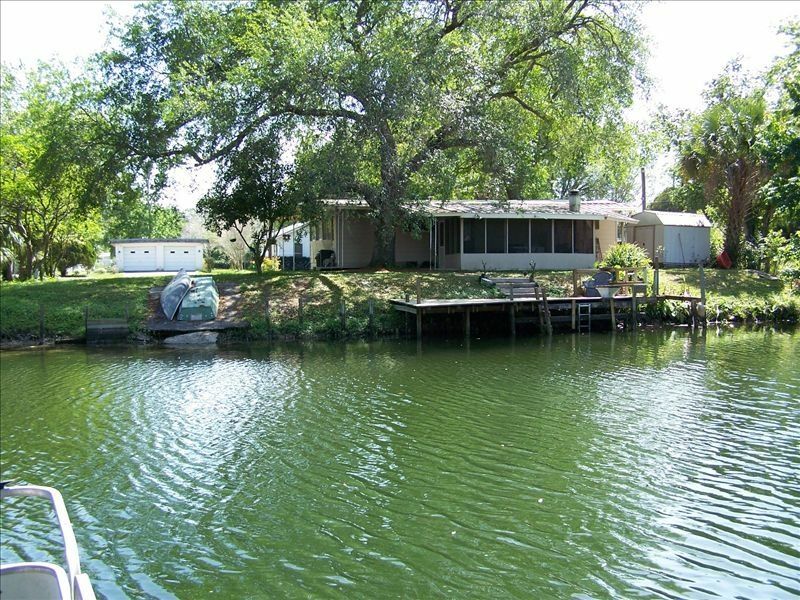 2br/2bath on canal leading into the spring feed Weeki Wachee River. Go up river to the Weeki Wachee Springs State Park or go down river to the Gulf of Mexico. Enjoy manatee watching from your own back yard or on the river. Screen porch, with table and chairs, overlooks the water. There is also a dock with table and chairs to enjoy the water. Four kayaks and a canoe on site for your use or bring your own boat. Boat ramp on site and larger ones nearby. There are nearby bike and walking trails. Enjoy the sunsets at Bayport Pier or Pine Island beach. There are several local restaurants. The place has free Wi Fi and cable. I grew up in Tampa so I already had a love for water.I came up to Weeki Wachee to visit friends and rented a cottage there. After a couple weekends there I became hooked on the natural beauty of the area and the water. I purchased this property as a weekend getaway from the hustle of the city. I could not wait for friday to head out to Weeki Wachee. I have since moved up here and now live just five minutes away.Now I offer the place so others can enjoy the nature and beauty. Smoking Not Allowed: smoking on screen porch allowed. Parking for RV/Boat/Trailer. We had an absolutely wonderful time. The house had everything that we needed and then some. Bert left maps of the area with points of interest, which was very helpful. The views are wonderful and the neighbors are friendly; great neighborhood. We will definitely be back. We have been visiting here for 8 years and always enjoy coming back. Was great getting to know Bert and he was quick to fix any problems we had. Cozy place on the canal! Bert’s place was clean and comfortable and in a great location on the canal. Lots of amenities provided as well! My family and I love Bert’s place, it reminds us of back home in upstate NY. We are always pleased when we stay there. Never have any complaints. Great, cozy feel!